An effective sales funnel is the mark of a healthy business. If you are a new entrepreneur and struggling to generate interest in your business, a well planned out sales funnel would be invaluable to you. A new handyman business and a startup t-shirt shop can both generate new customers with a sales funnel. A sales funnel turns prospects interested in your product into customers. You might not understand what goes into building one form scratch. 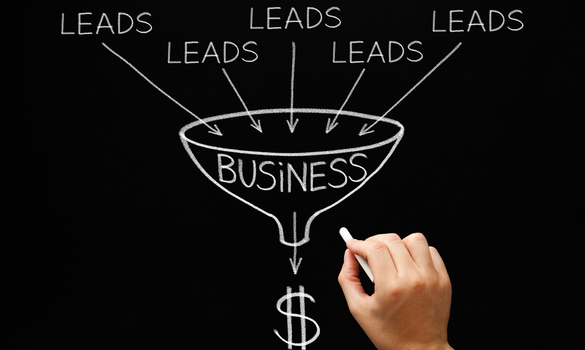 Luckily, there are many strategies to use when creating a sales funnel for the first time. Your landing page serves as the first part of your sales funnel. The first thing many people look for when trying to learn about a new business is its website. Inspire confidence in your company with a professional landing page. Offer visitors a chance to subscribe to your website to keep them informed about your products and services. Subscriptions establish a direct line of communication to potential buyers who are interested in your product. Identify who your ideal customer is when creating a sales funnel. After you have received some subscriptions, this is an ideal step you can take understand who is likely to buy your product. To identify potential customers, ask yourself who would likely buy your product. If you are launching a tech startup and plan to sell drones, research the types of consumers who purchase drones from other companies. Think about what this person is likely to enjoy or their reasons are for seeking out your product. If you understand what they want and why they want it, you can more effectively market your products and guide your potential customers down your sales funnel. Once you understand who your ideal customers are, analyzing their behavior to guide them further into your sales funnel becomes simpler. Identify which messages get the most responses from your audience. Learn how they interact with your landing page, and reshape it based on the data you gather. Find reports that detail your prospective demographics and how they use the internet and build your landing page accordingly. For example, if those who are interested in your product are young adults, it might be in your best interest to invest in building a mobile version of your landing page in order to optimize your sales funnel. Once you build a professional landing page and systems to guide people down your sales funnel, you must find ways to drive traffic to your landing page. Marketing on social media drives new people to your landing page daily and ensures that once someone becomes a customer, they have an easy way to be reminded about your products multiple times a day. Learn how to create ads on various social media platforms to provide both consumers who follow you and who do not with such reminders. If you have a wide range of people who might use your product, you can choose to buy PPC (pay per click) ads in variety of places you think would be effective. Content marketing is effective once a prospect is interacting with your landing page, and it can be the difference between a visit or a subscription. You can use a buyer persona to develop a better understanding of potential customers who are in the final section of your sales funnel. Buyers personas group individual customers together based on why they want the product, how they will use it, and their reasons for buying it. You should use them in order to personalize the customer experience. Although you may already have an ideal customer, your actual customers will all have different motivations for purchasing your product. By using buyer personas, you can personalize and improve their experience of buying your product, motivating them to become repeat customers. Creating a sales funnel is an important process for a new entrepreneur to learn. You should build a professional landing page as the first section of your sales funnel. Identify who your potential prospects are, and ask yourself questions about why they want your products. Analyze your prospects behavior in order to better guide them down the sections of your sales funnel. Afterwards, use different types of advertisements to drive more people to your landing page. Create different buyer personas to convince customers to become repeat customers. If you use these strategies, you will build an effective sales funnel that will drive people to your business and increase your sales.